What's the Price for the 2018 Volkswagen Tiguan? How Many MPG Does the 2018 Volkswagen Tiguan Get? What's New for the 2018 Volkswagen Tiguan? Volkswagen has gone to great lengths to try and cater to the American vehicle market. There are compact sedans and more spacious vehicles like the Jetta and Passat. The Tiguan was created along with the Touareg to fit in with the SUV market. There has been mixed success with the Tiguan but if something big and spacious is what you are looking for, look no further than the 2018 Volkswagen Tiguan. Along with plenty of cabin space and cargo space you can enjoy an available third row seat in the Tiguan. There are higher trim levels that you can select from if you want more bells and whistles as part of your purchase. The interior features and technology are simple. You’ll have no trouble learning all of the in’s and out’s of your new 2018 Tiguan. The Tiguan has been designed to be the biggest crossover SUV on the market. It is 185.1-inches in length which is almost an entire foot larger than other competitors like the Honda CR-V and the Toyota RAV4. There is actually a shorter wheelbase version of the Tiguan in Europe but in America we like our vehicles bigger, which is why we’ve received the longer wheelbase version. It isn’t often that you get an optional third row in a vehicle of this type. Adults will fit in this extra row if need be but it works well for kids mostly. Every front-wheel-drive Tiguan comes equipped with seven seats. All-wheel-drive models offer up the third row as an extra option. This is one of the tallest vehicles around so get ready for tons of head space when you get behind the wheel of your new Tiguan. The Tiguan comes equipped with a 2.0-liter inline-four engine that has a more efficient combustion process than ever before. There is only one choice for the engine included in the Tiguan. Most consumers find it to be completely sufficient in a multitude of terrains. You will be able to enjoy a 24 miles per gallon fuel efficiency rating which helps the overall affordability of this vehicle. This is very comparable in terms of crossover SUV’s on the market right now. The sticker price isn't anything that is going to shock you, but you also get a great warranty from the manufacturer. Volkswagen vehicles are known for needing minimal maintenance and repairs moving forward years down the road. The 2018 Volkswagen Tiguan is a very practical and affordable vehicle. It provides maturity along with plenty of power and easy handling. Whether you are enjoying the neatly designed dashboard or the simple HVAC controls, you have plenty of options in the S, SE and SEL trim levels. You can upgrade to include all of the latest vehicle features like blind spot monitoring system, parking assist technology and lane departure warning system. This is a vehicle that is perfect if you aren’t quite ready for a full-sized SUV but are in need of some additional space for you and your family. If you want to find out more about the Tiguan you can stop down to Volkswagen of Menomonee Falls today. We pride ourselves on our customer service and can’t wait to help you find the vehicle of your dreams. 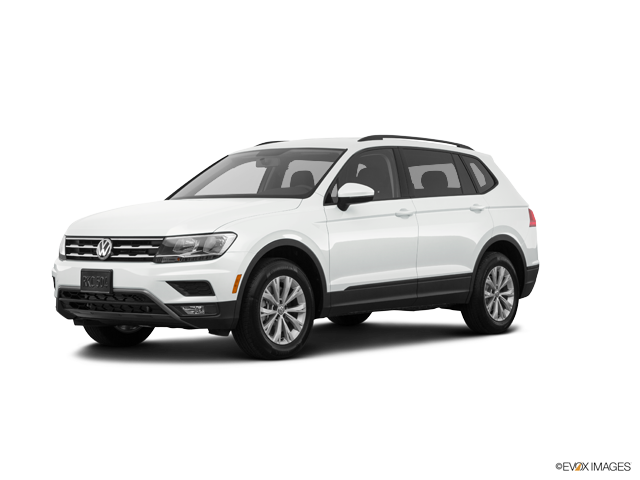 * Starting MSRP of $24,595 for a 2018 Volkswagen Tiguan S with 8-speed automatic transmission. Price excludes transportation, taxes, title, other options and dealer charges. Dealer sets actual price.